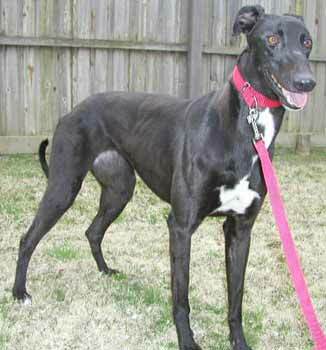 Jenny, aka Easy Effort, is an adorable black 2½-year-old female, born September 6, 2000, and is a littermate of Allie and Betsy. The three girls could almost be triplets, except for the markings on their feet. 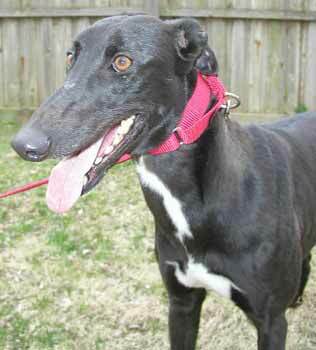 Jenny, like the rest of her litter (8 greyhounds total) did not want to race, so it is on to the couch for her. She is full of spirit and affection, and is very well grounded and socialized. It has not been determined at this time if she is small animal or cat tolerant.